We are thrilled to unveil a new version of the SpotMe Agenda with completely re-imagined user journey. Our goal was to design an experience that is more engaging, more accessible, and more personalized. The SpotMe Agenda has a new Discover screen that displays relevant information for the given moment. 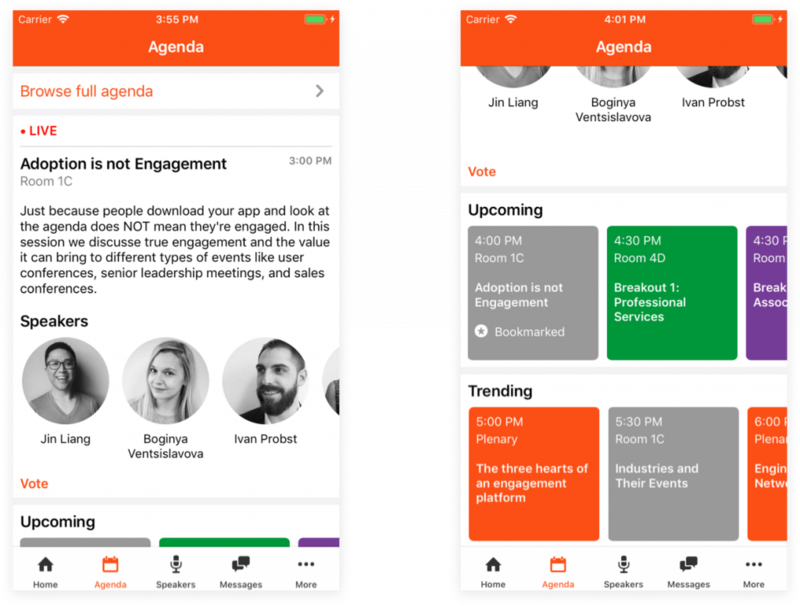 Discover showcases different topics, upcoming and trending sessions, and details of a live session with one-tap access to polling and Q&A. The session list, now accessible from the Discover screen, has also been updated. The new view is clean and vibrant, showing speaker photos and session topics. 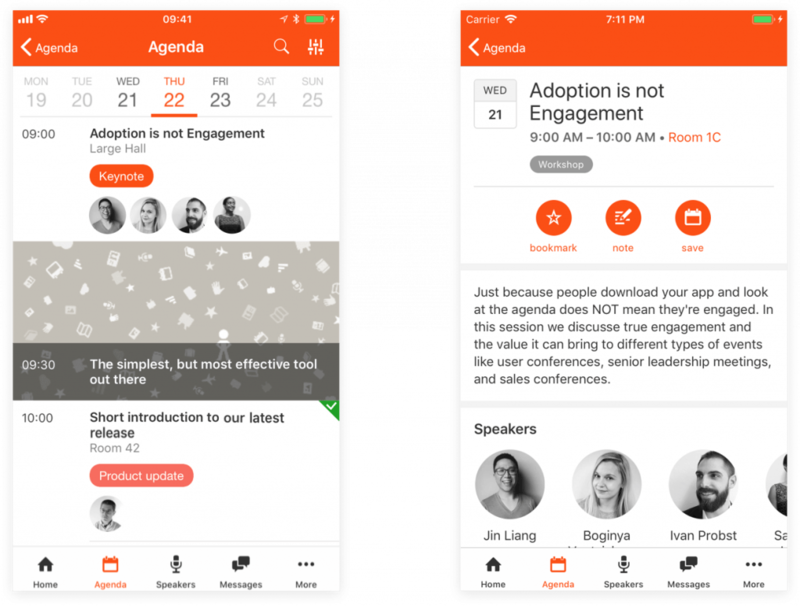 Session pages also follows the new look, with redesigned layout to easily add events to your calendar and set reminders. For more details on changes for Backstage CMS, check out this post on our Knowledge Base. On May 25, 2018 a new regulation of the European Union will come into force: the General Data Protection Regulation (GDPR). This regulation applies to all businesses storing or processing EU citizens’ data. To help you get ready with GDPR, we have updated our platform with several new capabilities and designed an easy-to-use GDPR toolkit. For more details on the GDPR toolkit please visit spotme.com/gdpr. To learn how to rollout legal documents in Backstage, read this post on Knowledge Base. We have given the SpotMe App a modern and sleek design to better blend with each platforms’ standards. The new participant and speaker profile puts photos front and center, with easily accessible actions for each. 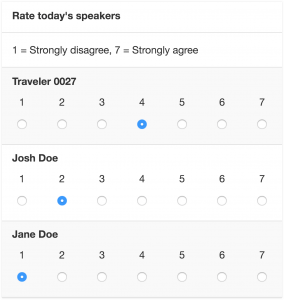 Questions using Likert scale are getting a new layout on phones, making the options more understandable. iOS users using devices with 3D Touch can now launch different sections of the app directly from their home screen. Too see all of changes see our new Changelog.